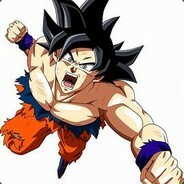 Hola a todos, Este es mi primer MOD para Dragon Ball Xenoverse 2, Soy Principiante en la creación de MODS, me basé en MODS ya hechos para lograr el resultado. PD: este MOD no es una ofensa a los creadores de lo requerido. Agradezco mucho a los moders que hicieron estos Fabulosos MODS. Soy Facundo, tengo 12 años y vivo en Uruguay. Hello everyone, This is my first MOD for Dragon Ball Xenoverse 2, I am a Beginner in the creation of MODS, I relied on MODS already done to achieve the result. If you liked the MOD please subscribe to my YouTube channel. Elina's Aura Installer used the aura for 2 transformations. PS: this MOD is not an offense to the creators of what is required. I am very grateful to the moderators who made these Fabulous MODS. I am Facundo, I am 12 years old and I live in Uruguay. Tengo planeado hacer un Super Saiyian Green Kaioken (X1 X10 X20). Version: 1.0 I uploaded the MOD. I have planned to make a Super Saiyian Green Kaioken (X1 X10 X20).